Cheese is a wonderful source of protein, calcium, and phosphorus, but it's also a major source of saturated fat. This can be a problem if you are following a low-fat diet. Learn if and how there room for cheese on a low-fat diet. The short answer is yes, you can continue to eat cheese, but not in large quantities. Regular cheddar has about 9 grams of fat per ounce, 6 grams of which are saturated. Some people can be somewhat heavy-handed with cheese, liberally sprinkling handfuls of it on pizza, in omelets, or in mac and cheese. While cheese is an excellent nutrition source because it is high in protein, calcium, and phosphorus, it can also be high in fat. 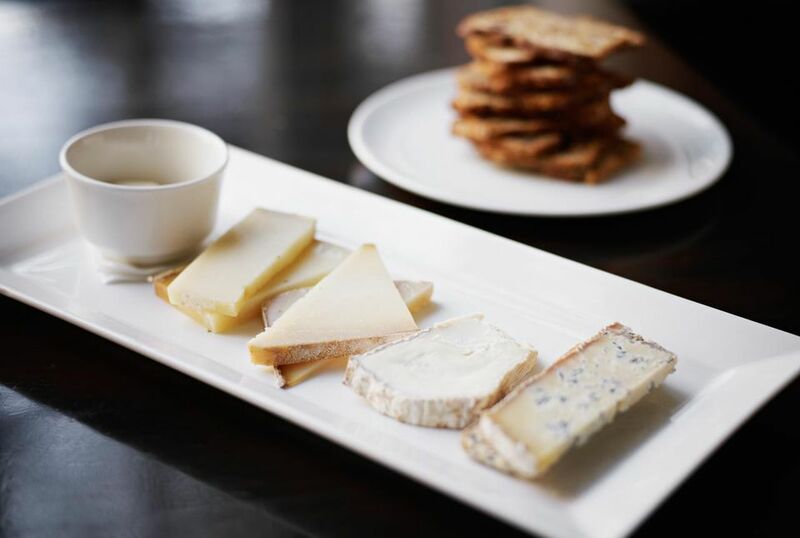 The best bet for a cheese lover is to compromise most of the time and treat yourself some of the time. This means changing your relationship with cheese. Instead of using it as a central ingredient, use it to accent dishes. Aged cheese is good for this. It tends to be more flavorful so you actually don't need to use very much of it. Such cheeses include extra-sharp or sharp cheddar, Gorgonzola, Parmesan, and Asiago. Think mindfully before sprinkling cheese on top of dishes. Instead, use a small bit and savor it. Many kinds of cheese are naturally lower in fat than others. These include part-skim mozzarella, string cheeses, farmer's cheese, and Neufchâtel. Goat cheese is lower in fat and has fewer calories than cow's milk cheese. There are also a number of common cheeses are widely available in the reduced-fat form, including cheddar, Monterey Jack, mozzarella, brie, Swiss, Colby, Muenster, and American. They can be found in most major grocery stores near the regular cheese. Just look closely at the labels to find the reduced fat varieties. Lower-fat cheeses tend to be milder in flavor, have a more rubbery texture, and have different cooking characteristics. Don’t write them off completely. Some brands of reduced-fat cheese are actually very good. Reduced-fat cheeses have about 6 grams of fat, with 4 grams of saturated fat. These cheeses work well in sandwiches and salads. Bags of shredded 2% cheese are useful substitutes for pizza toppings or for use in your favorite comfort-food dishes. They don’t melt well under direct heat, so avoid using them under the broiler. As for fat-free cheeses, most of them really aren't worth eating except, possibly, the shredded variety as a salad garnish. Fat-free cream cheese is fine blended in with other ingredients, or with herbs added. Try them and see if you think the flavor sacrifice is worth it. Eat some cheese, but use it less often and more sparingly. The American Heart Association continues to recommend limiting daily intake of saturated fat to less than 7%. The Dietary Guidelines Committee suggests 10% even though it has lifted restrictions on​ total fat and cholesterol. Keep healthy guidelines in mind, focus on moderation, and truly enjoying the tasty cheese to do decide to eat.